My name is Peter and I am a coffee addict. I am hopelessly dependent, both physically and psychologically. Even more serious for the long term is that I really like my thick, sweet, very strong espresso and I have neither the desire nor any intention to give up! Compared to coffee, my relationships with cannabis and alcohol, my other daily habits, are free and easy. I can do without even if I’d rather not. Once I walk away from my keyboard in the early evening then a beer and firing up my vaporiser are my cues to switch off and relax. But I can go without. Not without the thick black stuff though. I cannot get to lunchtime caffeine-free. So the opportunity to combine coffee with CBD is right up my street. I’ve tried it before and I’ve also tried a wider spectrum of cannabinoids in coffee. It’s a marriage made in heaven. A caffeine kick mellowed with a cannabis cuddle, or a cwtch as we say in Wales. 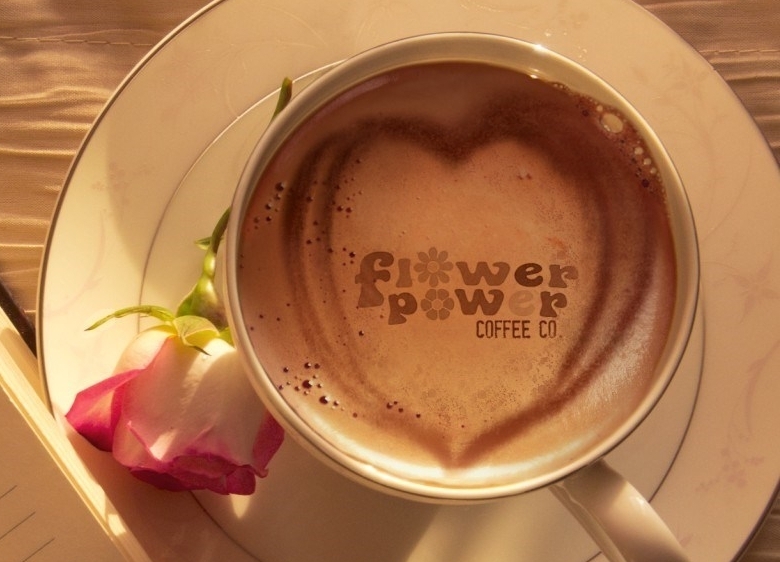 From the Flower Power coffee range, I chose Morning Glory. It promises strength and South American stimulation. I wasn’t disappointed. It is truly delicious, blending excellent coffee with the earthy taste of CBD extract in a way that really works. It’s very easy to get this wrong. Some of the hemp coffee I’ve tried has been truly disgusting, managing to capture the very worst flavour of the nastiest, most bitter CBD oil you’ve ever tried. Flower Power have got this right, it’s gorgeous. As they used to say about that other black stuff, it tastes good and it does you good! The most dramatic effect of starting to use it regularly is that my consumption of cannabis has plummeted. What I would put in one neat joint fills the Hydrology 9 about six times over, far more than I want to consume in a whole evening. The quality of the high is much better as well, smoother, cleaner, fresher and, well, higher! If you’ve never really appreciated vaping before the breakthrough comes when you realise that half of the effect from smoking a joint is the carbon monoxide fugging up your brain. I’ll never stop smoking joints because I enjoy them and sometimes nothing else will do but vaporising has to be first choice. The final minute delivers the most massive emotional punch which had me reeling and as the credits began to roll the tears followed them down my face. 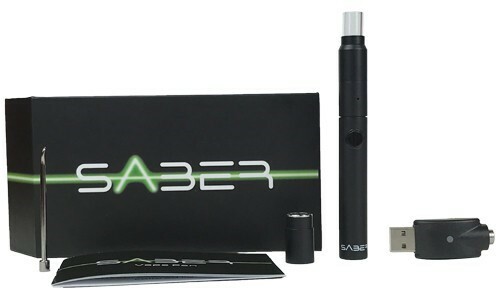 I’ve enjoyed trying out the Saber Vape Pen over the last couple of months. 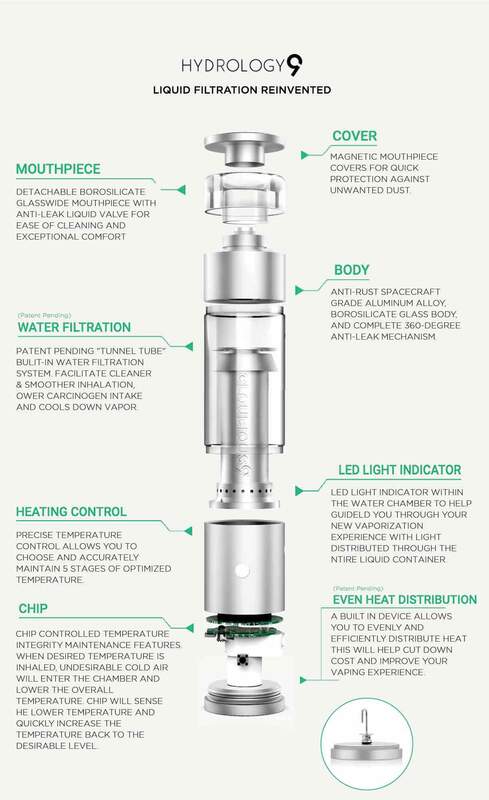 It’s a vape pen for concentrates: wax, shatter, oil and all types of cannabis extracts with textures ranging from brittle toffee to gloopy sludge. In use, the main difference is how easy it is to get the gloop into the bowl – and sometimes it’s not easy, it quickly becomes a sticky mess! Of course the sort of product that this is designed for isn’t easily available in the UK, so I turned to California for a selection of the delights available there. I asked for wax but ended up with two types – the first was called shatter but it wasn’t at all brittle, in fact it’s soft and pliable. The second, which seems to be the latest thing, is known as juice. It’s a very smooth and thick oil that goes stringy when you pick it up with a dab tool and you have to twist it like spaghetti round a fork to try and poke it into the bowl. I had a selection of strains: Banana OG, Blue Sherbet, Pineapple Express, Nug Run, King Louis OG, Juliet, Starfighter – yes I was that kid in a sweet shop! Concentrate pens are essentially very simple devices. They consist of a battery, a bowl and a mouthpiece. The bowl heats up when you press a button and usually it can be set to three different heat levels. 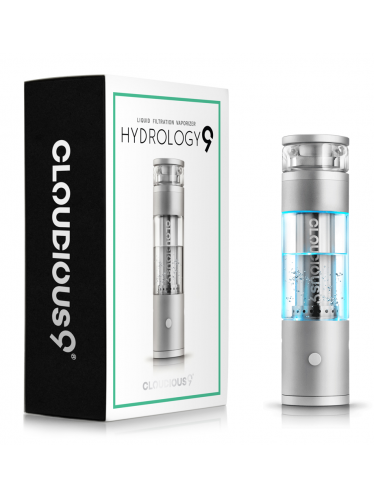 The big difference is in the technology that the bowl uses, either dual quartz coils, literally two tiny coils at the bottom of the bowl that heat up or a ceramic bowl that is just a clean, uncluttered reservoir where the bottom of the bowl heats up. The ceramic bowl seems preferable but in practice dual quartz coils generally works a bit better but are more difficult to clean. You really have to try for yourself to see which you prefer. 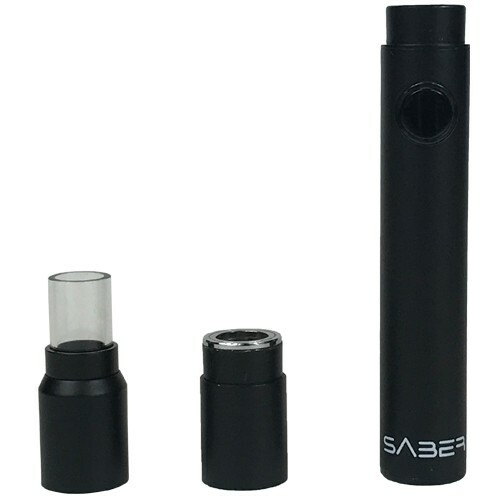 The Saber comes with both types of bowl and I prefer the dual quartz coils. The unique feature of the Saber is that it holds together magnetically. The battery connects to the bowl with a magnet which in turn connects to the mouthpiece with magnet, there’s no screw thread at all. This is convenient and it works well but where it falls down is in connecting to the charger which is also achieved with a magnet. This means that you always have to use the Saber charger and not one of the standard chargers of which I have many. This is inconvenient and if you lose or break the Saber charger you’re going to have to buy a new one. All concentrate pens work in a very similar way and it’s difficult to differentiate between them. The type of mouthpiece, its size, the overall size of the pen, all these factors effect how each pen works and, to be honest, I think it’s just a question of getting used to each type and learning its idiosyncracies. I do like the Saber. I have tended to stick with it although I have another three or four in my drawer. I find it a handy size, it’s not too harsh as some pens can be and, with the exception of the magnet connection to the charger I have nothing to criticise about it. If you haven’t used a concentrate vape pen before and experienced the effect of a good quality concentrate and the wonderful flavour and intense hit, then it’s something you can really look forward to. Take it slow! It’s very easy to rip your throat out if you pull too hard and as most of these concentrates are 80% THC and more, it’s very easy to blow your brains out! 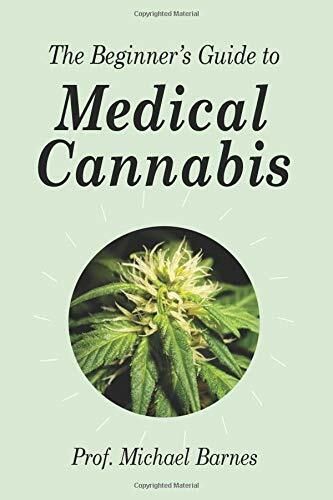 Even for an experienced cannabis consumer, be careful, these are very, very powerful and you need to learn how to use them so that the experience is safe and enjoyable. When you get it right though, there’s not really anything to beat it. 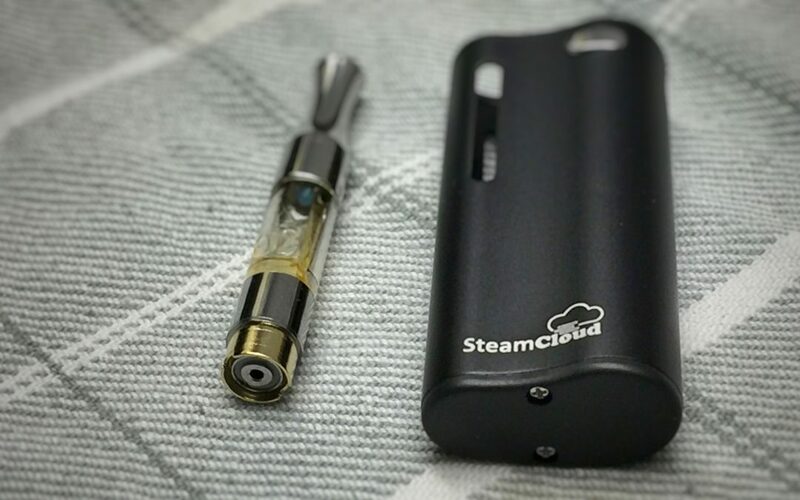 It’s clean, convenient, wonderful flavour and you’re inhaling far less smoke or vapour than by any other method. In my opinion, this is the best way to consume cannabis. My Saber Vape Pen came from NY Vape Shop. Thank you to them for giving me the opportunity to try it.